These FREE webinars are not just for Rotarians , but for all the Small Businesses, Non-Profit Organizations, Clubs & Charities that want to improve various aspects of their Digital Marketing. Friendship is the first of two reasons Rotary was created in 1905.
Business Development is the second reason for Rotary’s beginning. 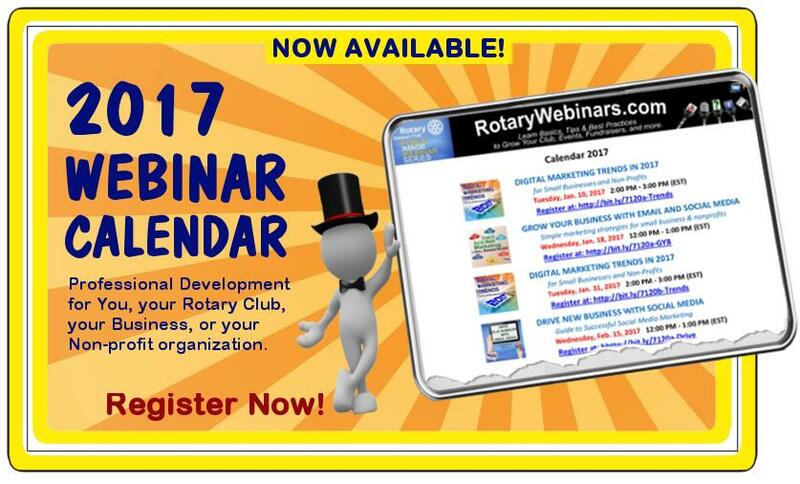 The RotaryWebinars was created to help Rotary Clubs, businesses, and other non-profit organizations use the power of Digital Marketing to grow clubs, events, donations, businesses, non-profits and more. 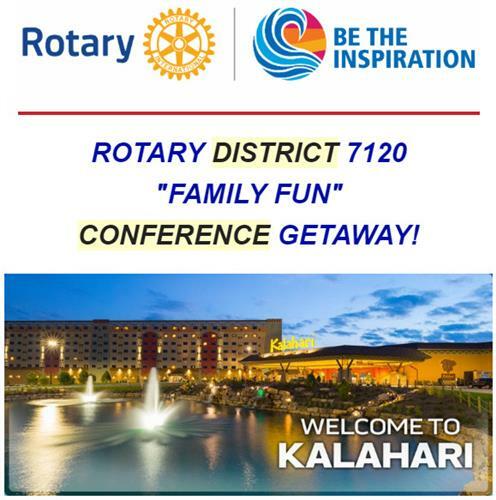 For most, being a Rotarian is a part time job after their regular job and family. Using the tools, education and strategies gained from these free webinars in other aspects of your life is a wonderful bonus. So if you know of any business or non-profit friends or colleagues that might benefit from these free educational webinars, please share them. The calendar is below. If you would like another topic that is not covered, please email your request to Tom Brown.